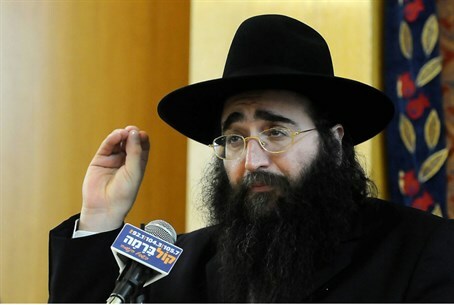 Both corruption cases, which have captivated Israeli media, to finally move forward as Rabbi Pinto brought in from US. Rabbi Yoshiyahu Pinto is expected to testify in Israel Tuesday, after the State Attorney's Office reached an agreement with Pinto's counsel regarding providing testimony against Gen. (ret.) Menashe Arbiv in a bribery scandal, Channel 10 reports Monday. After weeks of deadlock in talks between the two sides, Pinto has agreed to provide testimony on the Arbiv bribery case and provide testimony. Pinto will then return to the US, then be brought back to Israel later to deal with his own legal proceedings against him. Only then will Pinto return to the United States and return to Israel later in the framework of the legal proceedings against him. Earlier this year, the press revealed that police found that associates of Rabbi Yeshayahu Pinto helped Arbiv's wife and son obtain visas to the US, presumably in exchange for information. Arbiv also received $2,000 per month and a 700,000 shekel discount on a house in north Tel Aviv, the very seat of the housing crisis. Rabbi Pinto's associates also claim they helped Arbiv in the course of his role as Israel's representative policeman to the US. The gag order was lifted after police appealed to the court on grounds that in light of other revelations about the case published over the weekend, the gag order was more or less ineffective and thus, null and void - even if lifting the gag order could impede the still-ongoing investigation. The Attorney General's Office stated it would file an indictment against Rabbi Pinto, who is being tried for corruption. Pinto allegedly attempted to bribe senior police officer Ephraim Bracha with $200,000 for information about a pending police investigation into the Hazon Yeshaya charity organization, which Pinto was allegedly closely involved with. That investigation revealed that Pinto allegedly tried to bribe several other officers for information about the case against Hazon Yeshaya, including Arbiv. The charity, which was supposed to have provided millions of dollars to Holocaust survivors and ran a popular soup kitchen and volunteer network in Jerusalem, closed in 2012 under allegations of fraud. In January, it was revealed that Pinto may also be involved in an FBI investigation against Congressman Michael Grimm. Information about Grimm's case reveals that the US may have been involved in conducting part of the investigation into Rabbi Pinto himself, with Israeli cooperation; it is unclear whether or not they helped reveal his involvement in obtaining Arbiv's family members' US visas.